We have had an exciting and productive Tech week. This past Friday our wonderful technical staff arrived and have been hard at work. From the costumers, electricians, sound & lights, carpenters, stage managers, props, and tech directors, to the Artistic Director, Britton Corry, they are ON IT! 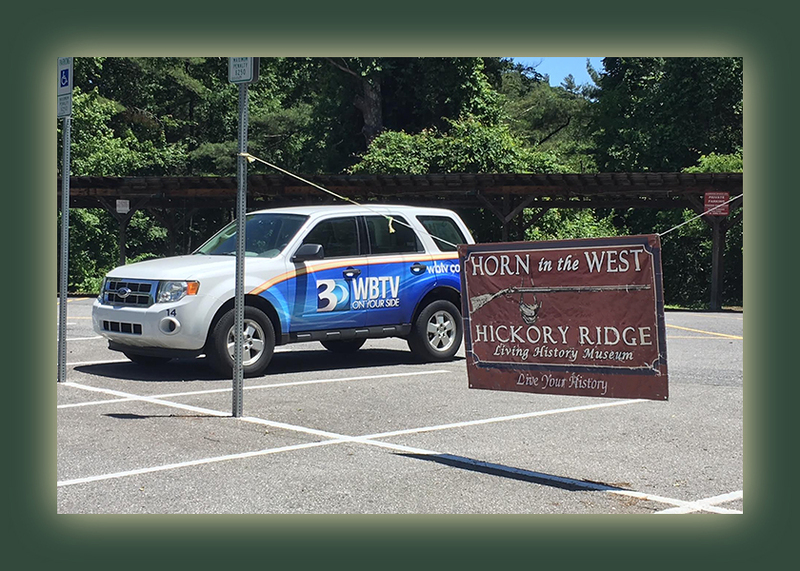 And then, on Monday we got a visit from WBTV in Charlotte to tape a sequence at the Hickory Ridge Living History Museum for their report on National Daniel Boone Day! One of our Tour Directors, Ms. Shiloh, was interviewed. 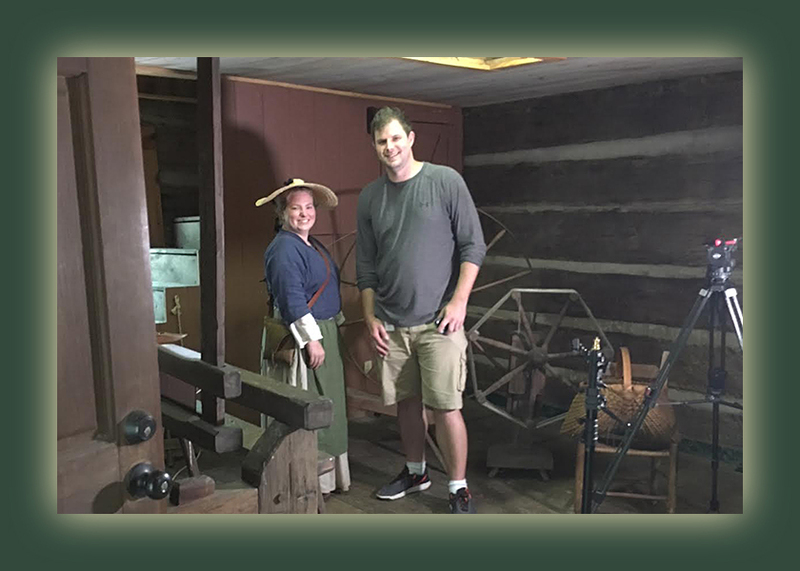 This will air on Friday, June 7th, which is . . . . National Daniel Boone Day!